Here are a few mementos of the once-thriving resort industry in Liberty and the area surrounding. 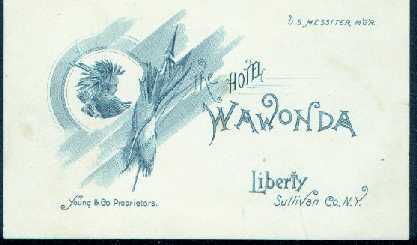 Above is a card from The Wawanda, once a large resort hotel in Liberty. 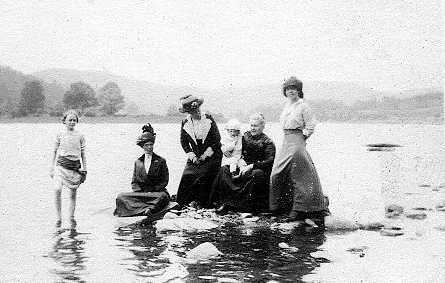 Wading in the Delaware River circa 1910. The Delaware (the river that forms the Western boundary of Sullivan County) was a day trip from Liberty in those days. The resorts tried hard to hold onto their clientele, who were tempted by low airline fares and elaborate resorts in other countries and elsewhere in the United States. 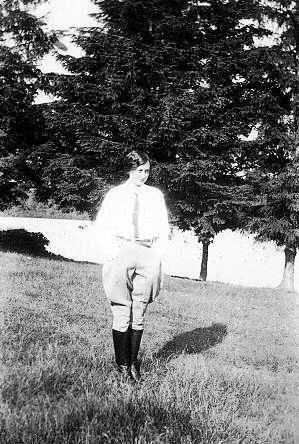 One way was to provide something at the resorts that had not been there when the parents of the new generation had come to the Catskills. Grossingers, for instance, hosted the World Barrel Jumping Championships (above is a competitor's number from that competition), and Rocky Marciano, then the World Heavyweight Champion, trained at the resort -- and both at the same time! Fire ultimately destroyed many of the old resorts. Fortunately, very few of the truly destructive fires occurred when the resorts were full of staff and guests. 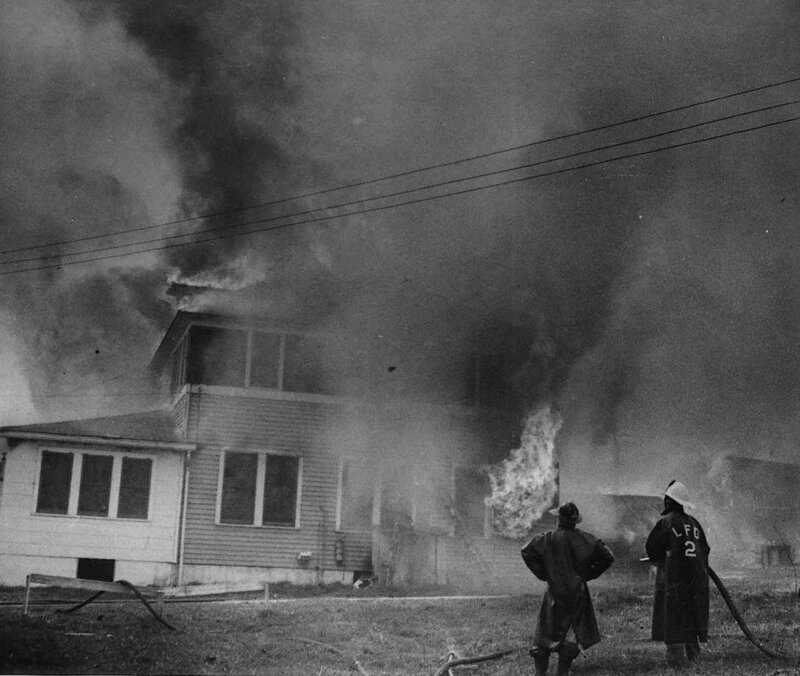 The fire shown in the picture above is one that was unusual in several respects. Not everyone is aware that the area, particularly the parts of the Catskills that have historically been popular resort areas, is the subject of academic study now. 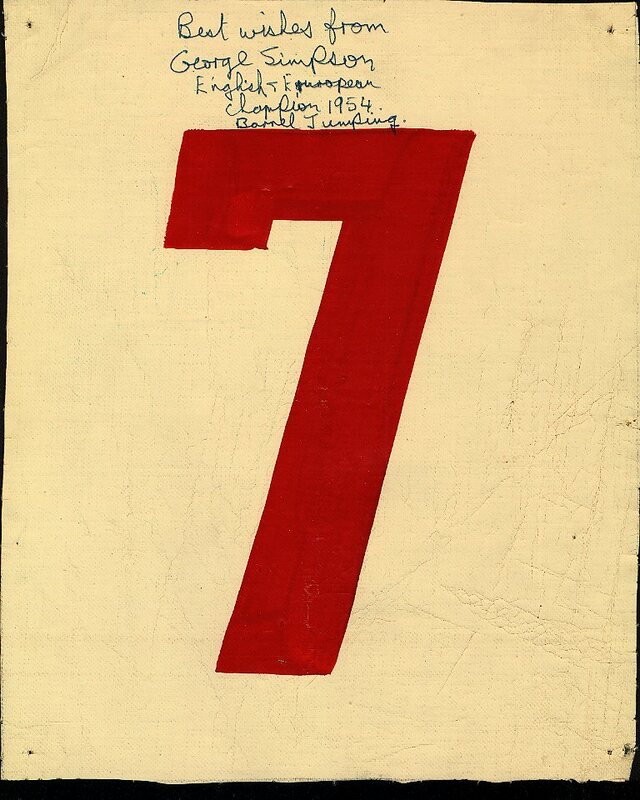 The Catskills Institute, hosted by Brown University, has collected and studies material from many sources. Its purpose is "to promote Research and Education on the Significance of the Catskill Mountains for American Jewish Life." If you're really interested in the Catskills' history as a resort area, you should not miss their comprehensive website. (There, you'll see an extensive bibliography, the opportunity to attend academic conferences about resort life, see listings of hotels and bungalows, and even the opportunity to join the Institute.) Highly recommended!! to visit it (but don't forget to come back! ).